This guest blog has been provided by Jasmine Sandler. Do you work in a position where you sell or do business development, either for your own business or for an employer? Do you need to re-invent yourself or heighten your credibility for your next promotion or career move? Then you need to nurture your online personal brand. In today’s world, where websites and social media activity are leading news and information resources, you need a strong online presence. An online personal branding program will cultivate your personal brand image in the minds of prospects, customers and other decision makers. Think of your favorite brands for a moment: automobile, beer, computer tablet, fast food, soap, whatever. You like them for what they represent to you, which is the result of how their companies have differentiated them from the competition. You need to do the same thing: differentiate yourself from all the other choices out there. The process by which you establish your personal brand is very much like it is for a product. You need to understand the competition and create a value proposition that tells people why they should prefer you. 1. Clarify your vision and purpose. 2. Determine your personal and professional goals. 3. Understand your target audience. They may describe what they need in different ways; you need to speak their language. 4. Decide on your personal brand strengths. These are your top three skills—the things you want to be known for. 5. 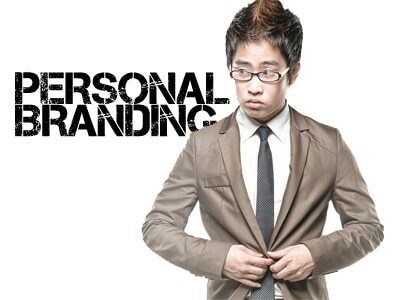 Develop your personal brand keywords. Start building a list of keyword phrases that support your positioning. These are five of the 10 steps I use to create a personal brand assessment—an exercise that can be done individually or in a group. You can learn more about the 10-step program for personal branding on social media on JasmineSandler.com. https://www.leadliaison.com/wp-content/uploads/2013/04/Lead-Liaison-Logo5.png 0 0 Lead Liaison https://www.leadliaison.com/wp-content/uploads/2013/04/Lead-Liaison-Logo5.png Lead Liaison2013-07-18 06:00:342014-09-14 08:27:14Your Personal Brand: What Does The Internet Say About You?